This week we cover upcoming interviews about The Quick and Cortex Prime, and my past and current work with Cortex products, as well as how to make sun tea! My stretch goal at $45k - Solarpunk! A post-scarcity setting where powerful corporate interests seek to destabilize the fruits of progress and the heroes try to stop them – it’s not about what you don’t have, it’s about keeping what you do. Put 4 to 8 tea bags into a clean 2 quart or gallon glass container (4 teabags for a 2 quart container, 8 tea bags for a gallon container). Fill with water and cap. 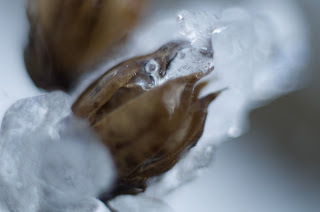 Place outside where the sunlight can strike the container for about 3 to 5 hours. Move the container if necessary to keep it in the sun. When the tea has reached its desired strength, remove from sun and put it in the refrigerator. This week we talk about upcoming interviews, my little game Off Target, and one of my dad's favorite cookie recipes. The kind of annotated read of the game starts at 6:08 and the recipe section begins at 12:30. Bake in oven at 350 ° F for 10 minutes. 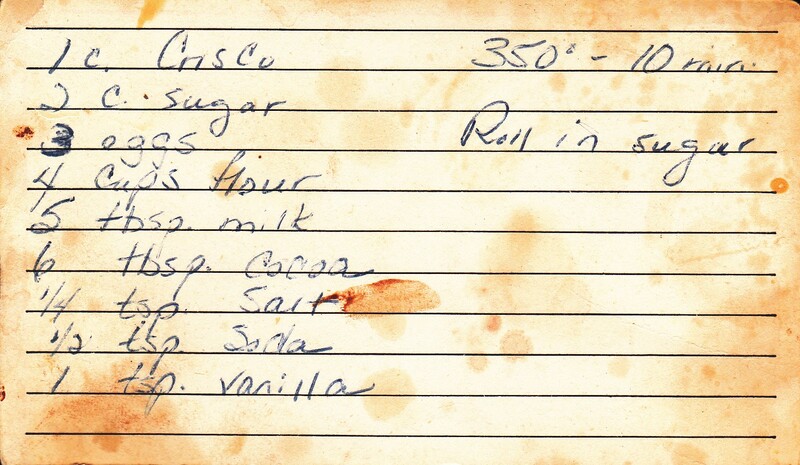 Roll in sugar. Serve warm with milk or coffee! *I had to retype this like 3 times because I spell it "shortning." Playlist of muzak, played in the background with random control of the volume. Include at least one song played twice in a row ("Call Me Maybe" is great for this). Four players are the cognizant, and control the mind. Four players are the present, and control the body. Players are people shopping at a Target [or equivalent shopping venue] for five things on their list. Each character will experience the dissociation of their mind from their body. When the parts of the character separate, the players will risk failure. There are ten things in the store as options to buy, and only five of them are on the characters' lists. Characters must buy exactly those five items. When they enter the store, cognizant players flip a coin. On a heads, the character buys the first item on their list. On a tails, they miss it. After flipping, the cognizant steps one step back, away from the present. They must verbally communicate to the present no matter how far away they are, or how many people are shouting. As they travel through the store, the players should converse about their day (in character or out). As each character finds an item, the cognizant will flip the coin to see if they buy it and take a step back. The present will pick up the item if appropriate. If the coin is ever dropped, the present will drop an item at random. Play continues for no more than 15 flips. At the end, the cognizant tears up the list entirely and throws it away. The cognizant and the present come together and look at the items, to see if they matched their list to their remembrance. Even if they did, they have no means to confirm. It's recommended to use the Script Change tools to ensure all players enjoy the game. It's highly recommended to have a Wrap Meeting to go over the events of the game and decompress. 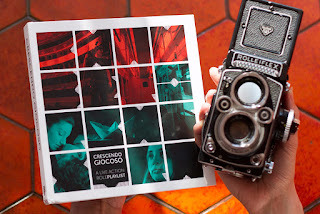 My interview today is with Oscar Biffi on Crescendo Giocoso, which I mentioned on a recent Designer & Devourer podcast. Cresdendo Giocoso is currently on Kickstarter and is a 12 scenario larp collection. The development of the game is really interesting, so I hope you enjoy the interview! Tell me a little bit about Crescendo Giocoso. What excites you about it? I like to think of Crescendo Giocoso as a my declaration of love to larp. This live action role-playlist, as we like to call it, is not just a book which collect me and my favorite Italian authors scenarios, enhanced by Maria's stunning graphics. It's the sum of the experiences by a community of players, now gathered around the website Laiv.it. Each scenario has a very strong history, made by playtests and discussion. A lot of people and memories are involved in this project and we just want to engage as many others as possible. Because I think the main strength of games towards narrative, my other great passion, is the ability to establish a direct and close contact between all parties involved. Over the years I had the pleasure of contribute to keep alive the interest for "chamber" larp in Italy and now, with the Italian Chamber Orchestra, I would like to put to good use this experience. So I develop a common approach to design for all the scenarios in Crescendo Giocoso, specifically to motivate me and my friends to reconsider our games in a new light. In order to make them accessible to everyone, to larpers with different background as well as to people who never played before. Without our supervision and without game masters or facilitators. The group of players can read the instructions together and then begin to play, right here right now. You say you developed a common approach. How did you do this? What did you use to make things work consistently? We called our space Laiv.it, /laɪv/ as we pronounce it, because me and the other founders have a very hands-on approach: we're most of all dedicated players and then authors. Once I decided to put the group of player at the heart of the project, I did my best to think from the standpoint of someone who tries to play a larp like ours for the first time. First of all we have to choose one of the scenarios, so we need a technical data sheet (number of roles, time, replayability, leitmotiv), but also an effective preview. Since a scenario is a game about a story, it can benefit from something like a synopsis to charm readers and from a sneak peek to game mechanics, because they make the difference in the experience. Once chosen the right scenario, we have to set it up and that's where another important point for Crescendo Giocoso comes in: adaptability. We want to offer to players the opportunity to improvise out of nowhere, but at the same time we don't want to discourage them to put a lot of efforts in costumes, props, soundtracks and so on. For this reason we wrote two possible staging for each scenario: Chamber staging, with only the bare essentials, and Symphony staging, with all the advices authors got from many runs. Finally we come to actual instructions, specifically design bearing in mind the picture of a player reading them aloud to their peers. Without going even more into the details, I hope I made myself clear about my way of thinking, but on our Kickstarter page everyone can download and try a free scenario for 2 players, written by me and Alessandro Giovannucci and still in playtest: Letters not about love. Luckily not everyone in the orchestra is such as pragmatic as me, so we can count on an interesting manifesto, written by Alessandro and his brother Andrea with the rest of their Chaos League collective. It's called "Southern Way - New Italian Larp" and I think it's fun they write this with their "blockbuster" games (with many players and which last days) in mind, but it perfectly fits the spirit in which we play, passionate and free. Why did you make the games free of game masters and facilitators, and how does it benefit the players? As an author of larp, I've never been really fond in performing NPC or in storytelling like a tabletop game master. I've always preferred to sit back and watch while the game itself lead the players to the epilogue. Just watching can be very useful for me, to improve and develop the scenario, but it would be very boring for anyone else. I know our habit at the conventions has always been to explain the games ourselves to each group of players, but I thinks this is great if you've designed your scenario as a "travelling show", an experience through which you guide the players. 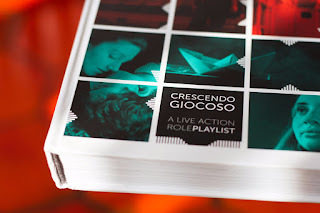 Crescendo Giocoso instead is a (e)book and its authors are not included in the shipping. It's more like a board game. Would you ever play a board game which say "Ok, set up everything for your friends, then step back, take a sit and just watch them?". I hope this design choice can help to spread larp to a larger audience and we've already got encouraging results, within acting class and educational events. "We" taking the place of "you" in the instructions is also a way to make it clear that a larp, as we mean it, it's all about teamwork. No one can just wait for another player to save the day. Years ago I helped with an anthology called "Dopocena da brivido" ("Thrilling after-dinner"), published by a mainstream Italian publisher. The idea behind this project was an host who offer an entertainment for their guests. Crescendo Giocoso is more like a jam session, where every piece must play its part. What are some of the scenarios we encounter in Crescendo Giocoso? 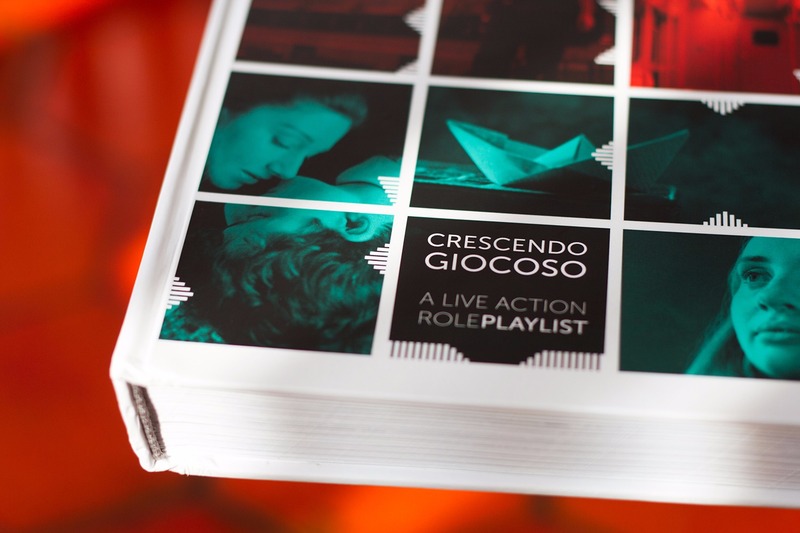 Crescendo Giocoso can count on scenarios with different settings and mechanics, each one for a different number of players, from 2 to 30. So we have an historic game like "First they came", by Andrea & Alessandro Giovannucci, in which the players will be three opponents of the Third Reich and the high fantasy "The Age of Men", by Lorenzo Martinelli, that looks like it's stepped out of Dungeons & Dragons with an extra splash of drama. We have a scenario set in Florence, "Something abous us", by Barbara Fini & Rafu, which is all about an apartment block meeting (very typical in Italy) and then "Sturm und drang", by Andrea Rinaldi, which takes place in an American stop grocery, intended as a liminal space like the ones by Samuel Beckett. "The theatre of Major Arcana", by Yuka Sato & Valerio Amadei, plays with the ideas of acting class and workshops, while "The last sunset", by Francesco Rugerfred Sedda, is a pulp story which resembles visual novels with its multiple endings. As for my scenarios, I love making literary references and mixing genres, so, for example, "Tell-tale hearts" is inspired from the title by Edgar Allan Poe and "Winds of change" tells a story not so far from the Balkan War with a fairytale atmosphere. 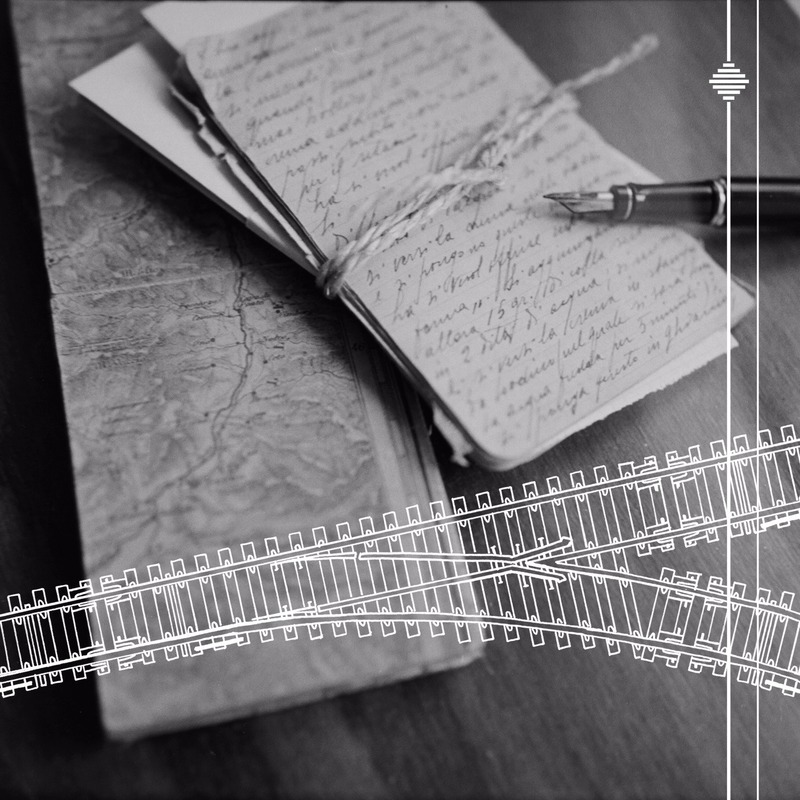 The leitmotifs of the anthology are wide variety of game mechanics and the special importance attached to the evocative power of writing. It applies to the many character sheets and handouts, but also to the instructions. I've always admired texts where clarity and atmosphere go hand in hand, in order to bring out strong emotions. No wonder I'm a fan of "24 game poems" by Marc Majcher. When playtesting and working across international borders, what do you think are the most important aspects of working with other designers, especially on a sizeable project and with live action games? When I know, you'll know. In all seriousness, so far I've cooperated mainly with Italian authors and players: only if our Kickstarter Campaign will succeed and reach some stretch goals, we'll be able to work on Crescendo Giocoso - Volume II with our international guests, Mikolaj Wicher, Evan Torner, Luiz Prado, Ole Peder Giaever and Jason Morningstar, without forgetting Antonio Amato, another Italian game-designer from Sicily. Over the years I've played a lot of international larp, but I'm not a traveller and a pioneer like Flavio Mortarino, our editorial consultant, or Lapo Luchini (who's going to design an Android App for Crescendo Giocoso, if we reach the stretch goal), or Francesco Rugerfred Sedda (game design student at the It University of Copenaghen) or the Giovannucci brothers (theorists and keynote speakers). They all suggested me many interesting games, I read them all and tried to pick up the ones most compatible with my design concept. Scenarios compatibile, but at the same time very different from ours, because the Volume II won't be a more of the same at all. Of course I've already speak with all these brilliant game designer and I've tried to communicate them a strong vision: we aren't going to cut & paste their scenarios in our layout, we'll work together for a "Crescendo giocoso edition" with all its peculiarities. After all some of their games have always been and will continue to be available for free, just like all my scenarios are on Laiv.it (in Italian only). We don't want to offer to readers only Maria Guarneri's graphics, or Chiara Locatelli's translations, or the editing by Jason Morningstar and me, but a brand new look on larp design. For this reason we need the support of smart authors from all over the world, but above all the enthusiasm of all dedicated larpers out there. Thank you to Oscar for allowing me to do this interview! 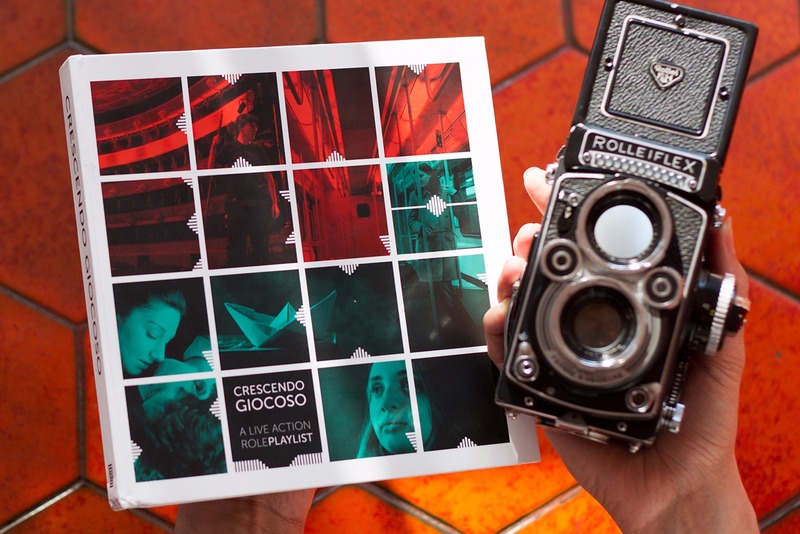 Crescendo Giocoso sounds really fascinating, and I hope my readers will take a moment to check out the Kickstarter today! Hi all! Today I have an interview with Todd Nicholas on the new game The Sword, The Crown, and The Unspeakable Power (SCUP) which is currently on Kickstarter! It's a Powered by the Apocalypse game of dark fantasy. Check out the answers below! Tell me a little bit about The Sword, The Crown, and The Unspeakable Power. What excites you about it? Excellent and appropriately timed question! The Sword, The Crown, and The Unspeakable Power (SCUP, for short) is a dark fantasy tabletop role-playing game by myself, Todd Nicholas, and my friend Thomas J. It is a hack of Apocalypse World that uses the core mechanics of that game to explore the kinds of political intrigue you would see in something like A Song of Ice and Fire by George R.R. Martin, The First Law by Joe Abercrombie, Imperial Radch by Ann Leckie, and the TV show Vikings. We’re currently Kickstarting the game and it’s doing quite well, so we’re happy to finally get it into people’s hands. Tom and myself have been working on this game on and off for a number of years. We started because we had just played a game of Apocalypse World and we thought those mechanics might work well for a fantasy story about power, politics, and intrigue. We were never quite sure if we wanted to make SCUP a polished game that we put out into the world in physical form or just keep it something we passed around as a PDF, but there seemed to be enough interest in it that we decided to go ahead on it. What excites me about SCUP is that I love that we’ve given players particularly powerful moves to affect their fictional world. The thing Tom and I spent the greatest amount of time on in the design of SCUP was the moves for character classes. 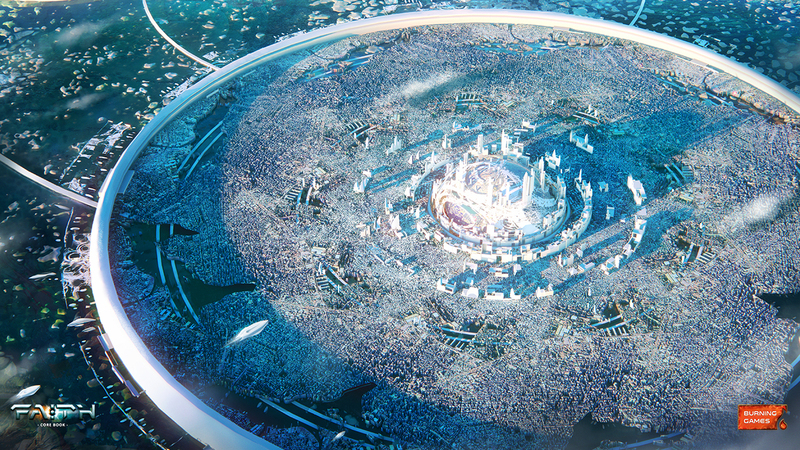 We wanted people to be able to do big, dramatic things. For example, one class is called “The Beloved.” They’re sort of a preacher or prophet type. One of their moves lets them see and confront the inner demons of NPCs, permanently changing them in some way. The first time we actually had someone use this move at the table, and they were literally having a duel of wits with the manifestation of another character’s worst fears in an effort to help the character conquer them, we were incredibly stoked to be able to give players that sort of narrative agency. So yeah, that’s my answer. I like being able to watch people do bold things in our game that let them get their hands nice and dirty. What have you done with SCUP to take the PbtA mechanics and make them really mesh with the fiction and framing? The PbtA system already does a nice job of focusing on close up character drama, but we have created a number of mechanics that really drive this home. In particular, we have focused on giving the MC moves to push social hierarchy in their toolbox of moves. They have a different set of moves to use against common PCs and noble PCs, for example. Additionally, characters may be in the employ of a Patron or may be called on by a Faction to fulfill a duty or obligation. We wanted to push the idea that this game is about reputation, information, hierarchy, and obligation using mechanics such as these. Mostly, though, we want people to have fun getting involved in intrigue between characters! You mentioned "The Beloved." Tell me about some of the playbooks - who are they? 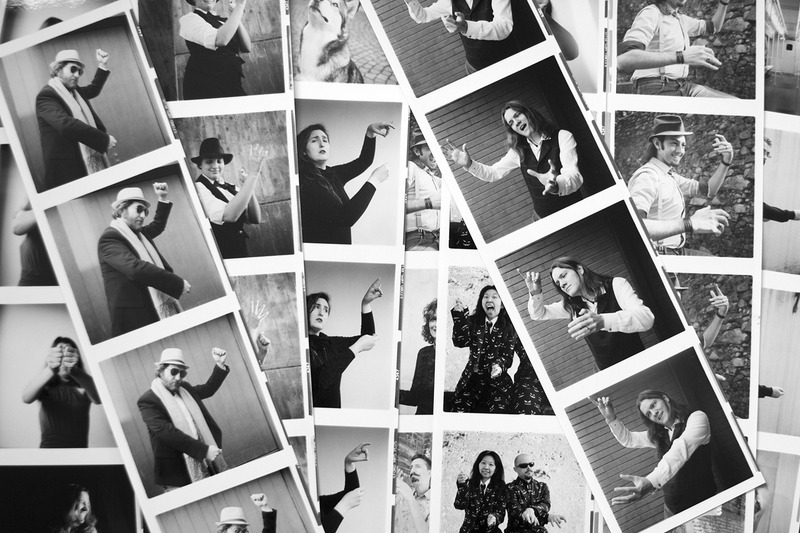 How do the moves help tell the story? What we’ve really focused on in SCUP is playbook moves that really drive the narrative and give players a chance to do big things in the fiction. Because the game is about intrigue and power, many of the moves focus on things like getting and spreading information, or making big, dramatic things happen in the gameplay. For example, I played a game last night at Forge Midwest with some folks. There was an NPC named Faela that two PCs wanted alive, cause they needed information from her, and one PC was tasked to assassinate. That PC, playing the class The Black Hood, rolled her move Their Eyes Never Open, which allowed her to assassinate an NPC within her reach. She had already snuck into the Ziggurat where the NPC was, and succeeded at her roll, allowing her to kill the character. When the other two PCs reached her, they found her deceased, but one of them, playing the Bloodletter, took her body and rolled his move God Complex to attempt to bring her back to life, though she came back as something awful, barely able to provide the information he needed. Meanwhile, a player playing The Voice, an advisor to the high priestess who ruled the city, had been using her move An Ear at Each Door to have her network of spies to gather information on the Priestess’s enemies which she ultimately used to betray the Priestess and claim power for herself. These are the kinds of blood-opera moments we’re really hoping players use the moves to create in games of SCUP. What elements of your fictional inspirations were the most important to your design? If you think about something like A Song of Ice and Fire, you think about the big things that George R.R. Martin makes happen in that world. Characters die, the world changes, relationships change, etc. As such, we wanted to make sure that the MC and players had a lot of power to affect the world in compelling ways. To give you an example, we have something we call “end of season moves,” which are triggered by the players when a campaign is nearing its conclusion. They give the players the ability to mechanize something like, say, the Red Wedding from A Storm of Swords. Most PCs wouldn’t just drop something that game changing on their players, but the end of season moves give them permission to, with the player’s input. Additionally, we thought very hard about the kinds of characters in the books we used as inspiration. The playbook of The Screw, for example, is very much based on Sand dan Glokta from The First Law while The Voice is modeled after Littlefinger from A Song of Ice and Fire and Wormtongue from Lord of the Rings. We wanted the players to feel like they had more options available to them than fighters, wizards, and rulers. We wanted them to have characters that were powerful in more subtle ways, more backroom ways, etc., which is often very important to political, dark fantasy. What makes SCUP special to you, as a creator and gamer each? SCUP is the first game I really started designing. I designed it with Tom so we could play something fun with our friends. Some of the campaigns we’ve done with SCUP have been some of my favorite gaming experiences, and the fact that something I created with my friend, on a lark, just to have some fun is going to be a real thing in the world that hopefully brings some fun to other people’s gaming table is genuinely humbling and astonishing to me. Thanks so much to Todd for the interview! I hope it was a good time, and I hope all of you enjoyed reading about it. Check out The Sword, The Crown, and The Unspeakable Power on Kickstarter now! This week we talk about upcoming interviews and features, as well as Turn (my shapeshifter game in progress), poverty in rural towns, and a recipe from my childhood, Brownie Stew! Brown the burger with onion and pepper. Drain grease from the mixture. Add into the mixture the cans of soup and add one soup can of water. Heat the mix until it is evenly hot. Separately make the 4 cups of white Minute rice using the Minute rice instructions or the 8 cups rice otherwise cooked. Pour the stew mix over the rice. Salt to taste. Note: I do really hope to get these podcasts on various sites like iTunes and Google Play soon but it's a combination of energy and money to do so. I hope you understand! Hi All! Today I have an interview with Burning Games on FAITH: The Sci-Fi RPG and Miniatures, which is currently on Kickstarter. FAITH is an Ennie-award winning RPG and this is the FAITH 2.0 version. Check out the interview below! 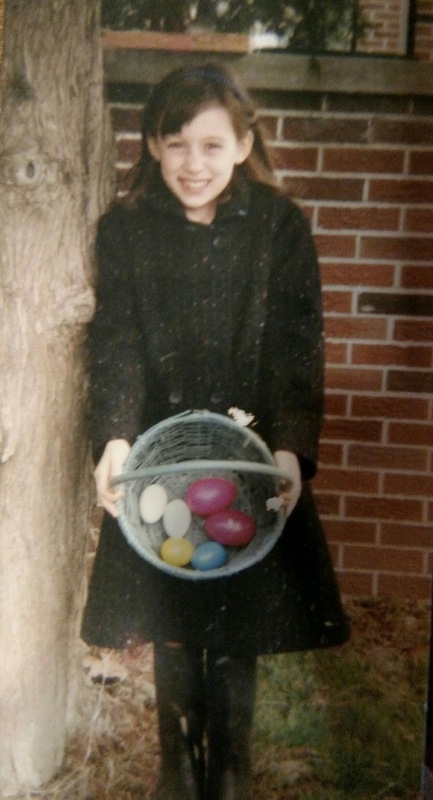 Tell me a little about FAITH. What excites you about it? What excites us about FAITH the most is its very essence. We made it as a statement on how we think RPGs should be, however risky that was. It's an RPG with a card based mechanic that lets players be in control of their actions; it makes the humans a minor species, at the sidelines of the main plot-events; it introduces gods in a sci-fi setting as moral scales to test the very fabric of which characters are made; and it dives right into an ideological conflict between two powerful alien species, without leaving aside morality, politics, or economics. The fact that people have trusted us and placed their faith in our game, pun intended, is something that we take very seriously and it's the most potent source of excitement we can imagine. We look forward to continue to expand the game into something greater than we could have imagined when we first started, and we are grateful to everybody who supports us in this journey. How do you integrate gods with a world of sci-fi and humanity? The five Gods of Faith are not the usual "omnipotent being" interpretation of deities. They are moral in nature, , and they can only interact with the world through their believers, by providing them with supernatural powers, thus shaping what actually happens in the universe by giving more power to those who follow one of the moral paths laid out by one of the Gods. Living beings within the universe of Faith can't really choose in which God they believe or which God they follow. It is each God itself who chooses certain people to grant powers, depending on their actual actions. Who you are and what you do determines whether one God or another will take notice of you and maybe grant you powers. There's little room in the way of "believing" in the Gods; when you see you have been granted a special power, you know that something's definitely up. On the other end, Clark's adage "any sufficiently advanced technology is indistinguishable from magic" may be applied, too. Within the lore of the game, there are people who question their nature and go on "Godseek" expeditions within the confines of the Labyrinth wormhole to try to uncover their mysteries. Similarly to how our A Garden in Hell campaign explores the origins of the Ravager, we plan to devote an entire campaign to this topic and we hope it will become an exciting perspective on Gods in a science fiction setting. Tell me a little about this ideological conflict! What about it encouraged you to make it a major point of the game? Similarly to forces of nature, the moral bearings rewarded by the Gods have ended up merging with certain civilisations, and shaping their progress and destiny. This means that there are species leaning towards the moral path set by some Gods, while others lean towards others, making them fundamentally different in their approach to cultural interaction both within their own civilisation and with other civilisations. This is the case of the Corvo and the Iz'kal, each leaning respectively to individualism or collectivism, and this is what sparks their constant conflict. When two such species find each other, there are three options: they fight, they flee or they cooperate. Right now, the Corvo and the Iz'kal must cooperate if they want to avoid total anihilation: the Ravager, a powerful mutant species, is on a destruction sprue through the known universe. Of course, this doesn't mean they don't still have their conflicts, and they still fight clandestine, proxy wars to arrest each other's development in anticipation to the defeat of the Ravager threat. We made this conflict such an integral part of the setting because we believe it raises very interesting issues that are worth considering and discussing. Both these species have very different approaches to society, each with their rights and their wrongs, and thinking about alien societies can put things in perspectives that are not as apparent if one was to analyse the same issues in the real world. How do the base mechanics of the cards work, and what do you think is expanded by including the miniatures? The card mechanics are the aspect we are the most proud of. Many people are extremely skeptic about it at first, but after playing a couple of rounds most people gets it. We need to stress that we didn't create this mechanic just to be different, or as a gimmick. It is an honest to God attempt to make a game where the players are in charge of their efforts, as represented by the values of the cards they play. The hand of cards represents the stamina of each character, and, just like in real life, each character can choose when to make a big effort (playing a high card), and when to conserve energies (playing a low card, which often triggers a rule to draw a new card). As you run out of cards, your character gets exhausted and has more and more limited options. A very common misconception is that people can just attempt banal actions to get rid of low cards. Because you only have the chance to play cards when you are contested, or, as we call it in Faith, confronted, there's really no possibility for this. When you play your low cards, you will be putting yourself in danger. Lastly, it's important to mention that the cards are not proprietary: you can use any regular poker deck to play FAITH. The miniatures do not change the core mechanics of the game. It's just that it can be much more immersive for some people to play with a cool set of minis! What are some of your favorite elements about the available species for play? What we like the most are the different roleplaying possibilities that each of their civilisations bring to the table. If you are in the Corvosphere, you can basically do whatever you want, but nobody will look out for you. It's like a cyberpunk jungle: each for their own, and only if you know how to get others to value your specific skillset you will manage to make a life for yourself. On the other hand of the spectrum, we have the Iz'kal state. There, all your basic needs are taken care of, but you can't own anything, and you must comply with the state's orders, which will use your skills for the benefit of the state. If you are in a Raag world, you'll need to be very careful with your approach to technology and how you maintain it, and you may become a renowned scavenger. Lastly, if you are a human, you won't be the center of the universe for a change. Humans in the universe of Faith have their work cut out for them: they must either bend their knee and serve the corvo; survive in the wasteland; or become part of the Human Front and seek the foundation of a free Earth. Thanks so much to Burning Games for the interview! 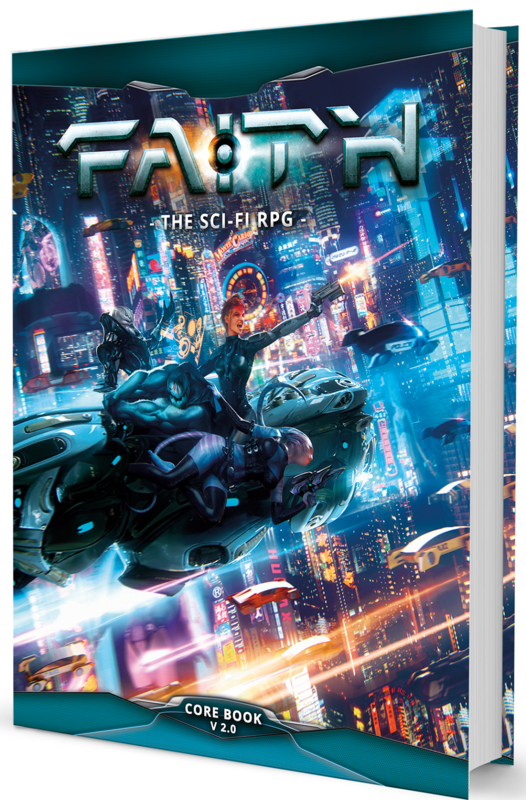 I hope you all enjoyed reading and that you'll check out FAITH: The Sci-Fi RPG and Miniatures on Kickstarter. Make sure to share the post if you think your friends might be interested in FAITH, too! ETA 4/16/2017: FYI, the recording for Designer & Devourer Episode 1 has had the hiss removed, so hopefully will be easier listening. Brie learned a skill! Note: This is my first time recording a larger piece and my first podcast, so please understand I'm new! I hope to use some music in the intros sometime in the future, possibly? But here's it! 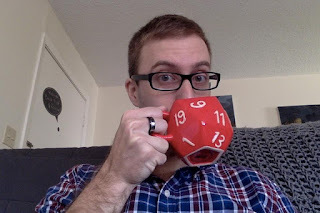 Designer & Devourer is a 15-30 minute audio episode with my thoughts on upcoming games, design, and game theory, plus a semi-relevant personal or internet-sourced recipe. 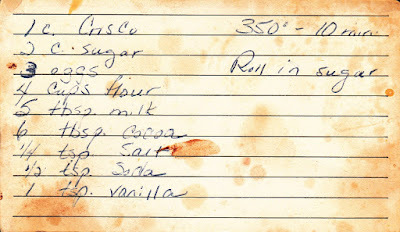 This week I talk upcoming interviews on Thoughty, the #200wordRPG contest, and my Great Grandma's punch recipe. Check out Charon, my entry for the 200 Word RPG contest here on Google Drive. ETA: forgot to include the links to the Kickstarters I mentioned! Pour into a large punch bowl and stir slowly until the orange juice is fully mixed in, adding lime sherbert or vanilla ice cream. Top with maraschino cherries if desired, or an ice ring made with pineapple juice and cherries (use a silicone bundt cake mold!). Thank you for checking out Designer & Devourer! Please share around!